On 2 August 2015, Limerick father-of-two Jason Corbett was savagely beaten to death in the bedroom of his luxury North Carolina home. His killers were his wife Molly Martens and his father-in-law, Thomas Martens. In a trial that gripped both the US and Ireland, the case that the duo had acted in self-defence quickly fell apart and they were sentenced to over 20 years in prison. Behind the scenes, Jason’s family was locked in a desperate custody battle to bring Jason’s children back to Ireland. 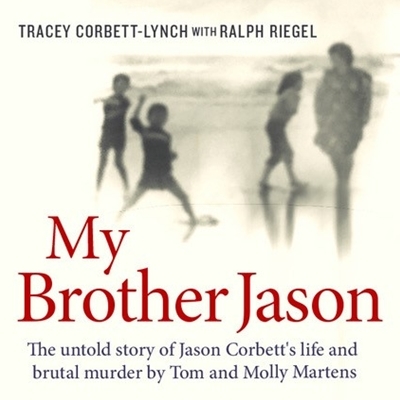 With full access to Jason’s letters, emails, keepsakes and photographs, Jason’s sister, Tracey Corbett-Lynch, with the help of journalist Ralph Riegel, reveals for the first time the full and shocking story of what Molly and Tom Martens tried to get away with. Tracey and Ralph will be in conversation with Rick O’Shea.